In India, even after implementation of Right to Food, children who are still out of school are struggling to get the nutrition they need to grow into healthy adults. Further, on the list of the world’s top 10 health risks, hunger continues to occupy the first position. One out of eight people go to sleep hungry every night despite living in a world where there is enough food to feed all of us. Hunger, or under nutrition, is a result of insufficient intake of macro and micro nutrients. It can, and often does, lead to chronic malnutrition or severe wasting associated with acute malnutrition. We all know that the prevalence of malnutrition is an important indicator of a country’s health. India is among those countries in the world with the highest recorded numbers of malnourished. 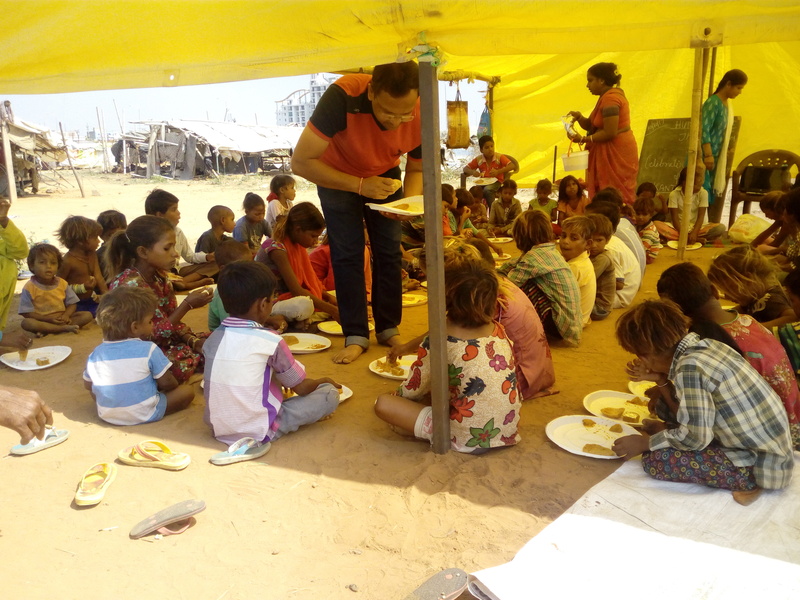 As far as Rajasthan state is concerned, it is a poor state where one in 5 children under 10 is suffering from wasting - meaning that they are underweight, and their bodies functions have severely compromised. further the hunger situation in inhabitants of slums and Jhuggi Basti where the condition of life is very deplorable, is even more alarming & may be unbelievable to many people. As the country aspires to fulfil its economic and social development goals, malnutrition is one area which requires greater attention particularly in slum population. 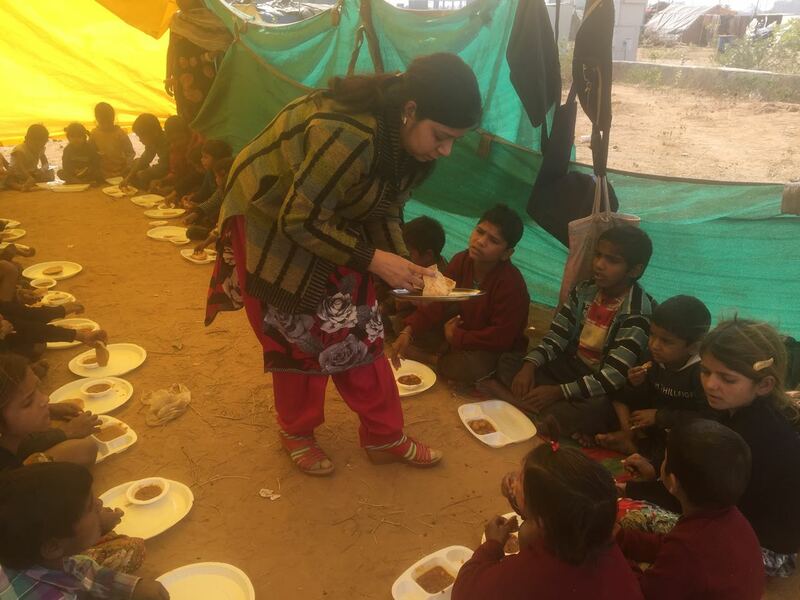 Human Life Foundation has been educating very needy children in slums and unprivileged areas of Jaipur of Rajasthan since 2006. We all know that the living standards in slums and Jhuggis Bastis in Jaipur are very poor for most of the slum population. There is a lack of basic facilities, lack of hygiene and sanitation, and a high rates of immigration from remote areas. Unavailability of pure water is one of the major cause of malnutrition over there. Pure Water that is synonymous of life is seldom found in slums. Lack of lat-bath in Jhuggis worsen the situation. Poor sanitation and dangerous hygiene practices increase vulnerability to infectious and water-borne diseases, which are direct causes of acute malnutrition. The children in these slums mostly belong to Schedule Castes and Schedule Tribes. We have seen that the levels of malnutrition amongst children in slums are often even higher. In slums , the main source of family income is not regular because most of them are irregularized labour, which is of course very dependent on whatever menial work they do. The situation is that if the send and stone don’t come, daily labourer are severely affected, and many families go hungry. 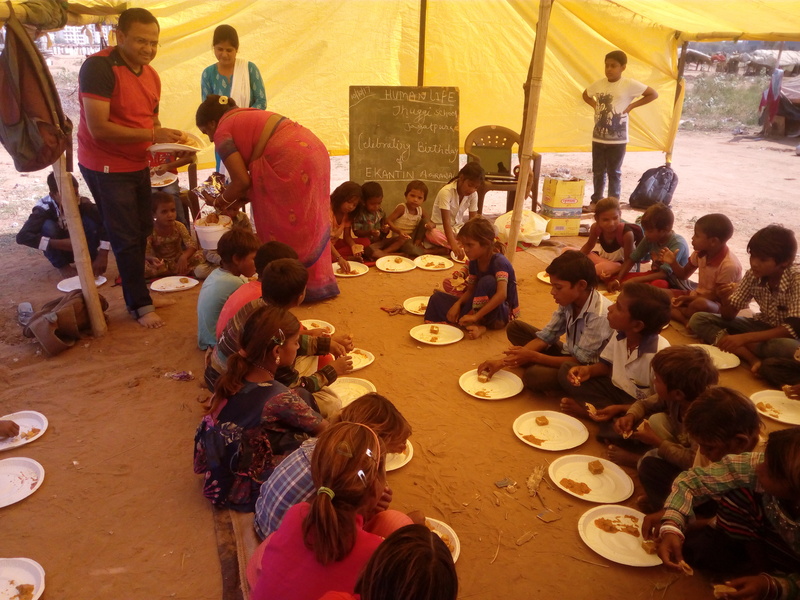 Through our Food Relief Program, our attempt is to feed the numbers of children in our slums schools who lack the means, but, have huge potential to learn and achieve. 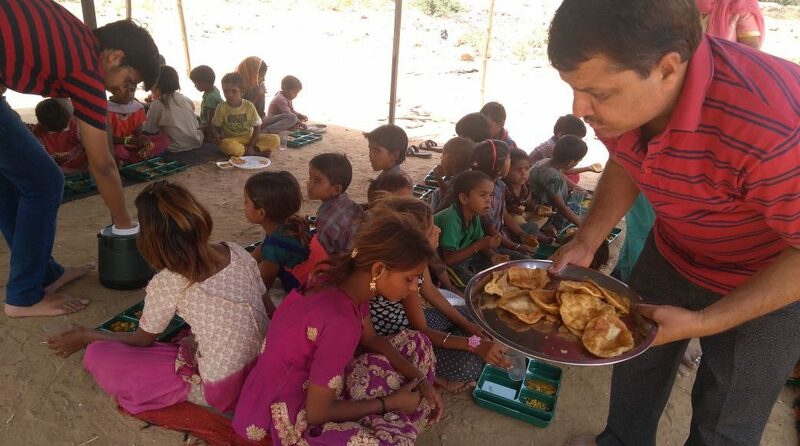 By serving them one wholesome meal a day, we give them the nourishment and motivation they need to pursue an education for a better future. 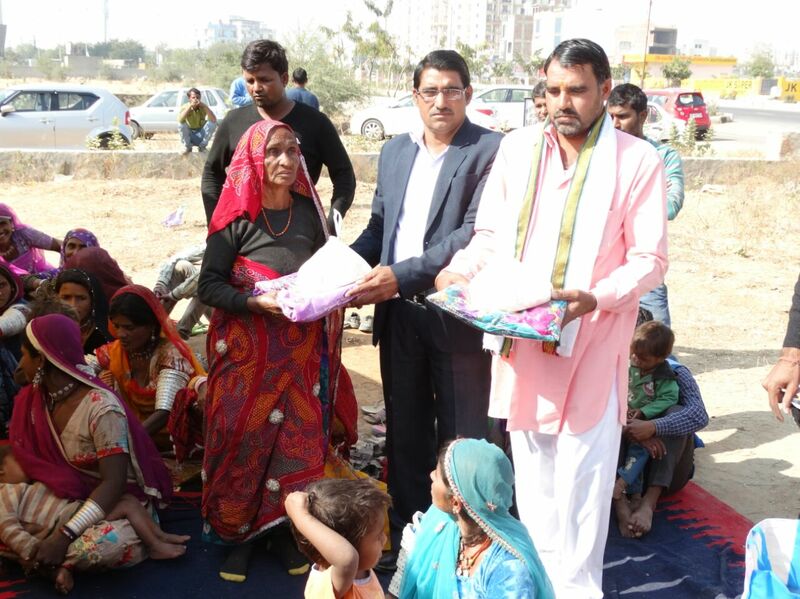 It is our endeavour to reach out to every deprived child at the grass root level of the society. What is Food Relief Program ? 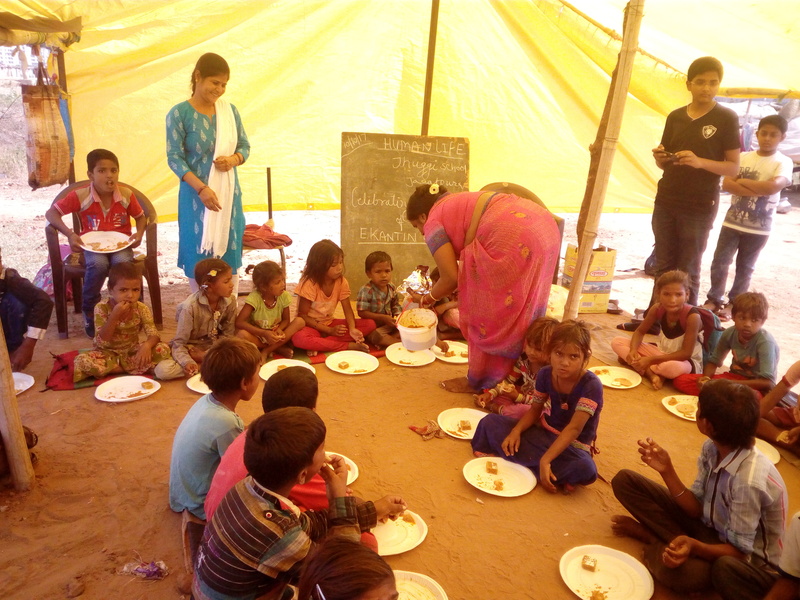 Food Relief Program is a food distribution program to support education and eradicate malnutrition among needy children. The balanced Meal is main source of nutrient and dietary supplements for body. 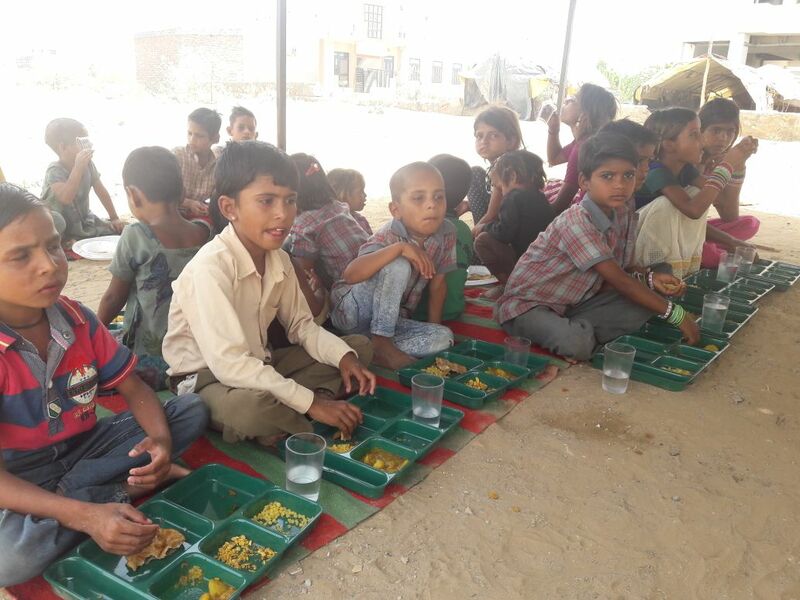 Slum school children have unavailability of proper and balanced diet in their daily life. Therefore the Human Life Foundation has decided to serve meals to slum school kids under this program. Apart from this Human Life Foundation is also working with communities to raise awareness about the signs of malnutrition, and how to treat and prevent it. We teach mothers about good nutrition and improved child care practices, which can both help to prevent malnutrition. Lack of family income to eat balanced and nutritious food every day. Lack of long term employment therefore people don’t have definite income sources to foster care their children. Unavailability of pure water: Water is synonymous with life and it is one of the major cause of malnutrition. Poor Sanitation and dangerous hygiene practices- It increase vulnerability to infectious and water-borne diseases, which are direct causes of acute malnutrition. Lack of education to decide why the nutritious food is required for life. -Intoxication - Addiction of tobacco and alcohol is widely seen among slum families. Small kids found indulged in such hazardous activities.